SEE ALSO: What is the Best System for Smart Home Automation? The Resolution: Usually this is the first factor that determines a purchase. The best picture quality on the market today is 4K, also referred to as UHD. However keep in mind that “4K” and “UHD” are in fact slightly different. Ultra High Definition screens are what professionals call “native 4K” or “true 4K.” This is because UHD is a professional cinema standard whereas 4K TVs in stores have a slightly lower resolution. The terms are also determined based on how the projector has been manufactured. For example, one of Sony’s best 4K projector (the SXRD) has 8.8 million pixels and has the same resolution defined by Digital Cinema Initiatives for cinema distribution. Also keep in mind that you don’t have to buy 4K. A quality HD projector will still provide amazing quality images in a home theater if you are on a tight budget. The Lumens: Lumens refers to how bright the picture will be. The right amount and type of light will determine how vivid and bright your picture is as well as how high the contrast between whites and blacks will be. Projector lumens can range from 1,000 – 2,000. If your home theater is large, you may want to choose a high lumen count. But if the room is small a 2,000 count could overpower the room and be hard on your eyes. Laser or Lamp: This refers to the type of device used to generate the light in the projector. Laser projectors are the newer version because they use a laser instead of a lamp bulb. Some of the benefits of using a laser projector include better picture quality, will last longer, and aren’t as fragile to use and maintain. Experts predict that in the near future lamp projectors will be obsolete. So while laser projectors do tend to cost more, they will certainly last longer in the long run. These are just a few of the ways you can pick out a good projector. However, you can always contact the team at Components to see which ones we recommend! 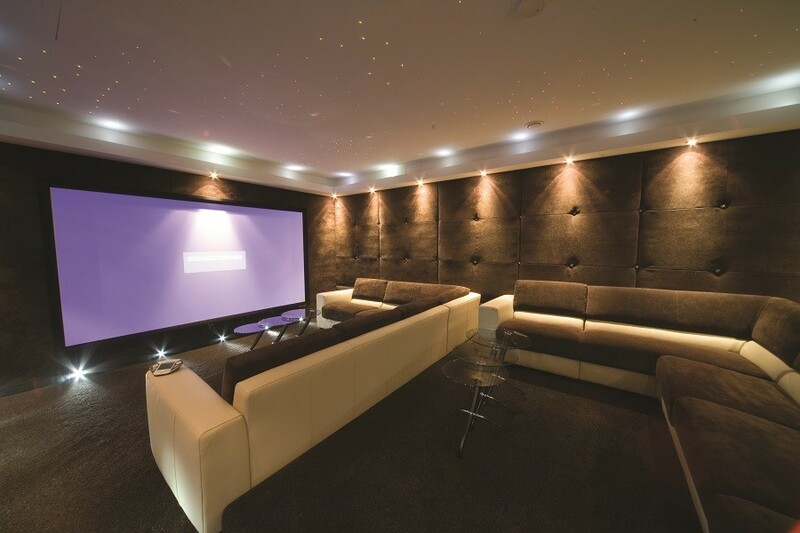 We have partnerships with top brands and can provide any audio video component in your home theater.